This renovated, two storey holiday home features a beautifully appointed, fully furnished apartment on each level. The owners pride in the property is seen in the workmanship and the quality decor, fixtures and fittings. 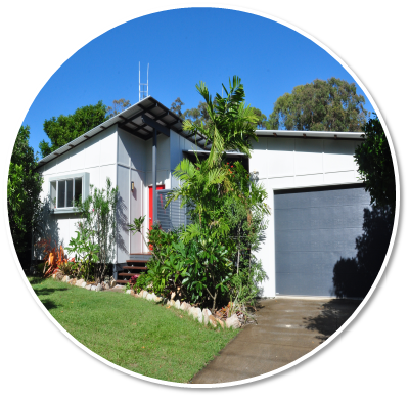 Enjoy your holiday in style staying in this private home that backs onto bushland and is located within minutes walk to local clubs, sporting facilities and the main street of Rainbow Beach. * Please Note: House is equipped for families only. Parties & functions are prohibited.